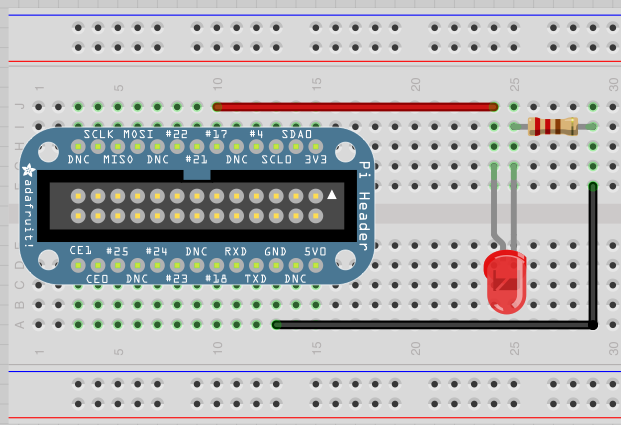 As I would like my HomeAutomation to learn my schedule I need to give the Pi some eyes. 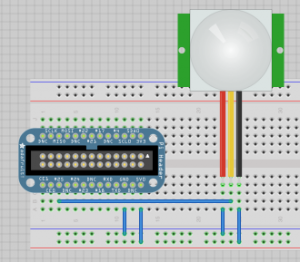 Let’s start with a PIR (passive infrared) sensor. 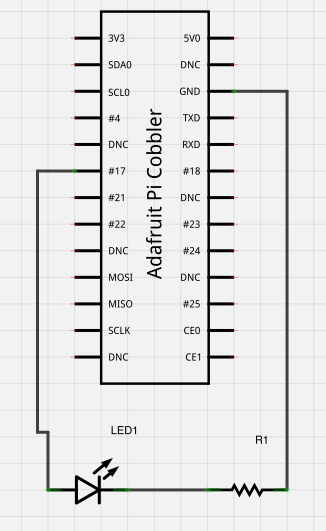 The Fritzing screenshot below shows how the sensor is wired up to the cobbler. Basically the red wire goes to 5V0, the black wire to GND and the yellow data wire is hooked up to #25. 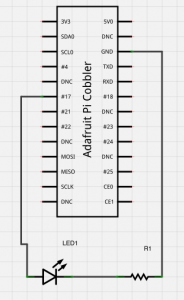 This reports a 0 when the PIR is not triggered and a 1 when triggered. As a next step I replicated the very same functionality in a basic perl script using WiringPi-Perl. 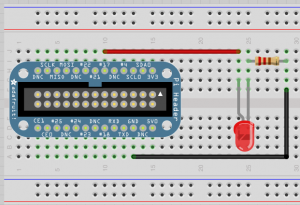 This code writes “off” to the standard out when the PIR is not triggered and “on” when triggered until you stop the script with ctrl+c. 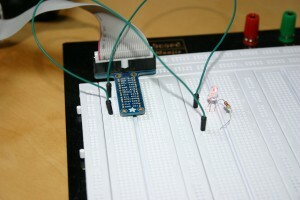 I reworked the script from yesterday “Preparing the GPIO basis” using the WiringPi-Perl wrapper. 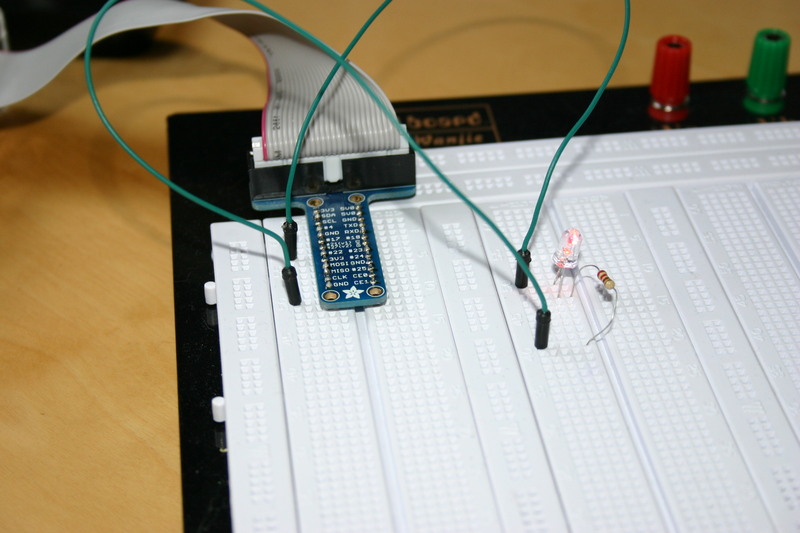 This script lets the LED blink for 500 milliseconds and continues to run until you stop it with ctrl+c.